This TA Technix sport suspenson kit is for the Kia Pride. This TA Technix sport suspenson kit is for the Kia Shuma type FB. This TA Technix sport suspenson kit is for the Kia Picanto type BA. This TA Technix sport suspenson kit is for the Kia Rio type DE. 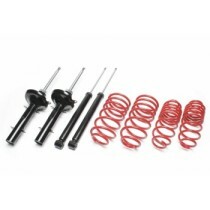 This TA Technix sport suspenson kit is for the Kia Sportage type JA. This TA Technix sport suspenson kit is for the Kia Sephia type FA. This TA Technix sport suspenson kit is for the Kia Sorento type BL. This TA Technix sport suspenson kit is for the Kia Carnival type UP. This TA Technix sport suspenson kit is for the Kia Clarus type GC.